KUALA LUMPUR: Jihin ‘Shadow Cat’ Radzuan’s head coach Melvin Yeoh is confident that his 20-year-old talent will defeat the Philippines’ Gina Iniong (7-4) at the upcoming ONE: CLASH OF LEGENDS showcase in Bangkok, Thailand on Feb 16, 2019. The 38-year-old Ultimate MMA Academy founder shared that his undefeated star pupil has “not taken her foot off the pedal” and will continue her pursuit to the top of ONE Championship’s women’s atomweight division. 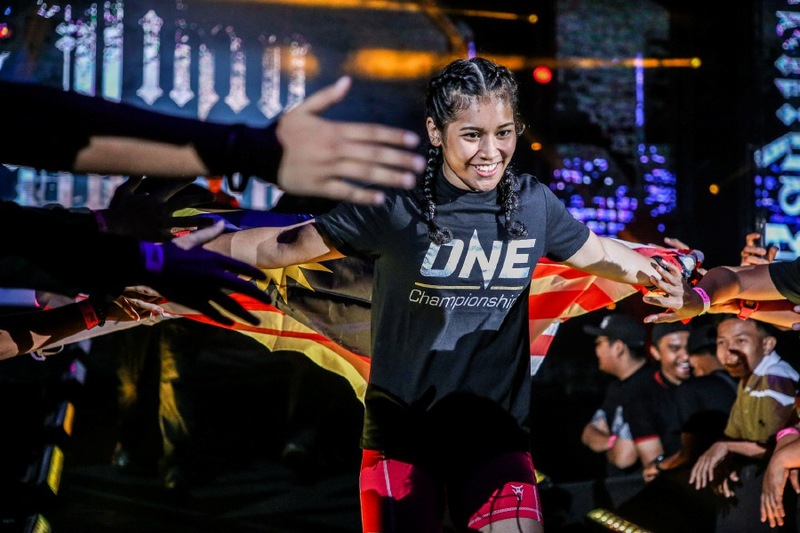 The coach also emphasised that “Shadow Cat” is in no rush to battle the division’s reigning queen, “Unstoppable” Angela Lee, for her coveted ONE Women’s Atomweight World Championship. That said, he does hope that Jihin will get the chance to have a shot at the gold someday. The exciting Malaysian athlete kicked off her ONE career with an impressive triangle choke submission victory over India’s Puja Tomar in March. Four months later, she defeated Lumban Gaol — Indonesia’s best women’s mixed martial artist — via unanimous decision. However, Jihin’s biggest triumph came last year in December when she out-worked former ONE World Title challenger Jenny “Lady GoGo” Huang en route to a unanimous decision win. For now, the Johor-based athlete will have her mind focused on victory number five while her Filipina rival will look to rebuild some momentum. Although Iniong, a six-time Philippine Wushu Champion, is known for her stand-up expertise, she has diligently improved her wrestling. Despite that, Yeoh still believes that “Shadow Cat” is better in every area of the game.